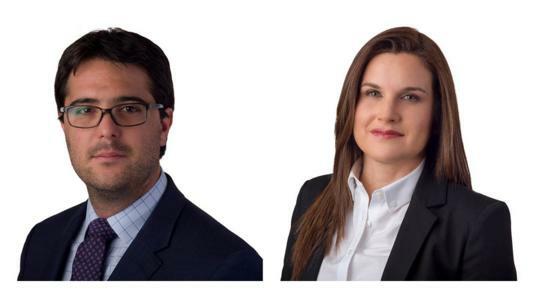 Effective January 1st, CMS Grau, has promoted Miguel Viale and Cecilia Vargas to a partner level position, in the corporate and employment & pensions practices respectively. With these appointments, the Lima-based firm now has a total of 26 partners and seen the number of partners at the firm increase by 45% over the last two years. Viale has extensive experience in collateral structures and financing for complex multi-jurisdictional transactions; as well as in the financing, sale and acquisition of projects related to natural resources, extractive activities, and retail companies in transactional matters. Vargas has broad experience in labor law, advising various relevant economic groups in the mining, real estate, retail, health and education sectors in occupational health and risks management, labor law, social security and immigration, as well as the management of human resources, hiring of foreign personnel, workers’ claims, collective dismissals, labor inspections, and migratory issues.